Jewish Studies are an integral part of Kadimah’s education. Our graduates tell us that because of their Kadimah experience, they feel a strong sense of belonging in every Jewish environment. 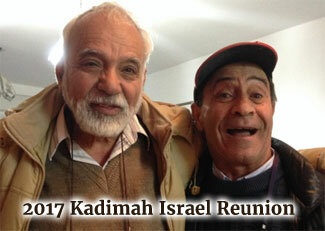 Kadimah students graduate with a solid knowledge base in prayers, ideology, history, culture, and Jewish tradition. Daily prayers are taught in the lower grades and are said each morning by students at every grade level. Holiday prayers are also studied, making Kadimah students natural leaders at Shabbat, Passover, Hanukah, and many other occasions. We love holidays! And we love to celebrate them together. In addition to welcoming Shabbat, students and families join to celebrate Purim, Sukkot, Hanukah, Passover, and other holidays during the year with parties, plays, assemblies, and community events. Kadimah is a community school made up of Jewish families and interfaith families, with varying traditions of religious observance. To accommodate the needs of all of our students, Kadimah Academy maintains a Kosher standard, under the supervision of Buffalo Vaad Hakashrut, for all food brought into the school. 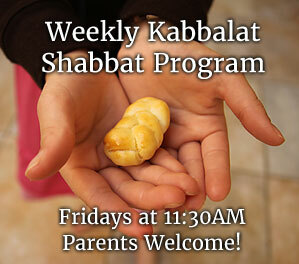 In this way, the entire Kadimah family can readily and easily participate in all activities and celebrations together. As a community Jewish day school serving the broadest spectrum of students, Kadimah seeks to strike a balance between setting a baseline standard for our faculty and students within the building and not interfering or conflicting with family preferences or individual levels of observance. Boys are expected to wear Kippot at all times in the school and at school events, as G-d is around us at all times. Wearing tzitzit under clothes is optional but supported as desired by families. 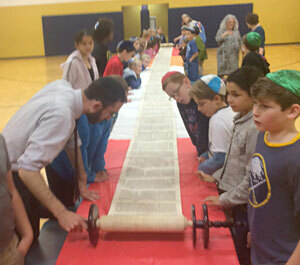 As a core part of the Western New York Jewish community fabric, Kadimah encourages all of our families to become members of a local synagogue and to participate in community religious, cultural and other activities. We are not affiliated with any movement or synagogue within Judaism, and seek to both work with, and introduce our students to, all parts and institutions of the religious spectrum. In an effort to develop the Jewish character of our students, we encourage the participation in the mitzvah of Tzedakah. We suggest students bring a donation (of any amount) on a regular basis so that they may develop a feeling of sharing and responsibility toward other human beings. Students decide where to send their collected tzedakah, enhancing their understanding of how they can help others in need.